I hope that you find the post title intriguing enough to check out today's post. Let's get to the the definitions first as it will help you understand what it means to "deconstruct" the use of a metal die. The following card was created with the metal die in multiple creative ways. As I was grieving of the loss of my mother-in-law, I went back to my craft room as it is the most normal and familiar thing to me. I realized that I only use this Penny Black die just once... and that's not acceptable. In the darkest hour, I came up with this idea and I am sharing with you now. You see the Penny Black die is such a lovely one. However, with the frame in the design, it seems rather restricted as to what you can do with it. In a way, I am just trying to "justify" the cost of getting a metal die like this. I hope today's post prompted you to examine your stash of dies with fresh eyes! This card is going to a friend of my mother-in-law's. Here are the latest stamps at Simon Says Stamp. Pretty card! I have one from PB also, that has a frame around it. I'll have to take a look at it and see if I can use it in different ways! Beautiful card and message and thanks for the deconstructing advice. Your brilliance never goes unnoticed because you keep coming up with these clever techniques. This is beautiful and another lovely tribute to your Mother-In-Law. This is simply beautiful, Virginia! Love how you used the die...perfect! Brilliant!!! You have given me another 'eye' to look at dies. Your card is lovely, my goodness the Oxide ink is wonderful. Thank you. Well done! Nice colors & nice alternate use! Pretty background! This si fabulous! 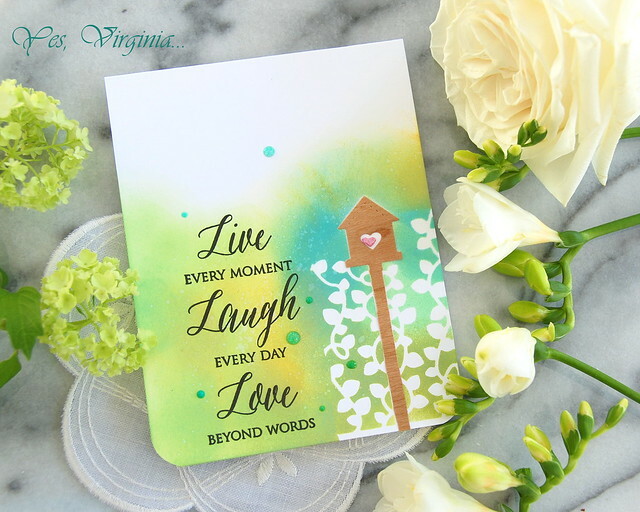 I hope you find solace in your craft room after such a big loss, Virginia! 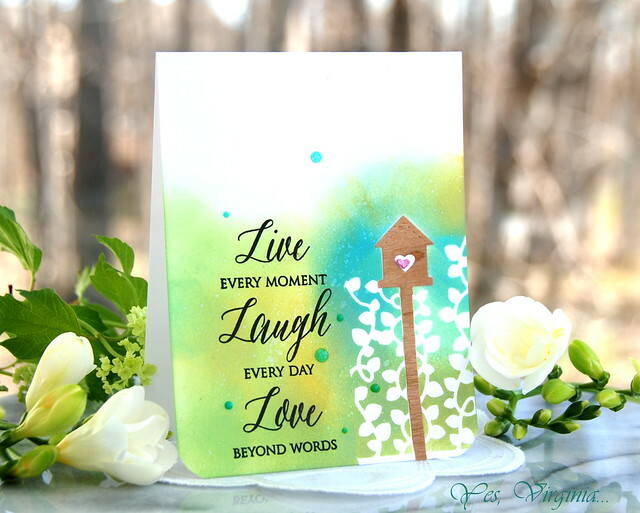 You have certainly done an amazing job reconstructing this die to create a really beautiful card! 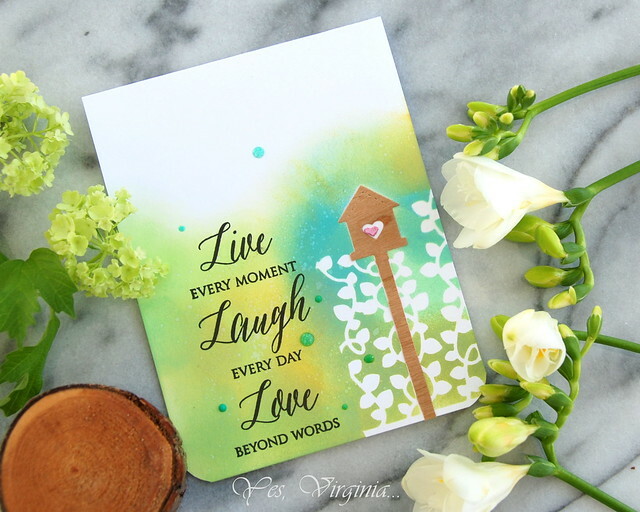 I'm loving how you blended your oxide inks, and that you used it for the background on your lovely sentiment, too! A stunning work of art! I'm sure your mother-in-law's friend is really going to appreciate your thoughtfulness!